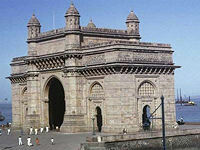 Arriving Mumbai, our local representative will be at the airport to welcome you & transfer to your hotel. Rest of day at leisure. Today's city tour includes Gateway of India, Flora Fountain, Mani Bhavan, Malabar Hill, Chaupatty Beach & the Prince of Wales Museum etc. Lunch at local restaurant. This morning we visit Elephant Caves. After lunch we visit local bazaars & markets for shopping. Today a full day trip to visit Kanheri caves. 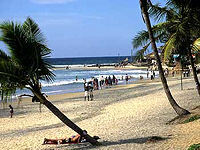 Transfer to airport for your flight to Goa. Upon arrival, pick up & transfer to beach resort for stay of 8 nights. At leisure until transfer to airport for your flight to Mumbai & stay at airport hotel for one night. Your return flight to UK. arriving back Heathrow on the same day. An example city beach program in Mumbai and Goa.